The latest full-bodied flavor bomb from Drew Estate cigars, Acid Opulence 3 is a rich and creamy masterpiece boasting premium Cuban-seed long-leaf fillers from Esteli and an original infusion of essential oils. A San Andres maduro wrapper lends an extra bit of strength and a dose of subtle sweetness to this unique, flavorful, and aromatic cigar. 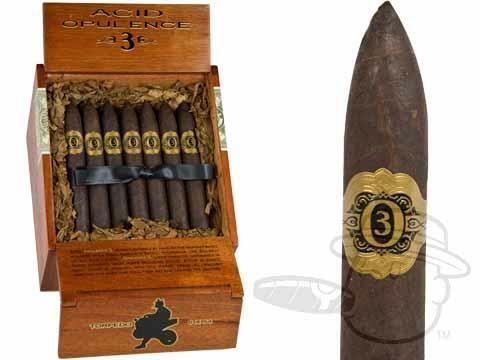 Acid Opulence 3 Torpedo is rated 4.2 out of 5 based on 1 customer ratings.